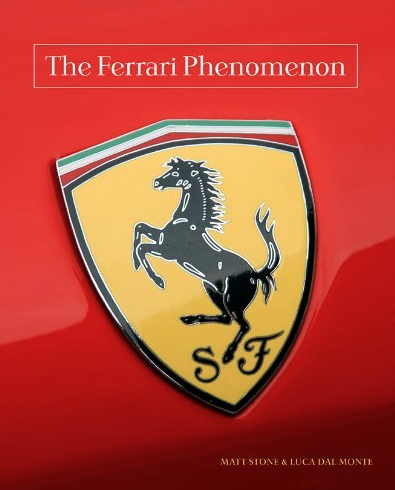 More than 1000 books have been written about Ferrari, but none quite like this. You won’t find a model-by-model review, lists of chassis numbers, or any connecting rod bearing specifications here. This is about the fun stuff: legend, lore, lies, “bet you didn’t knows” and a lot of other, more pop culture related information about Italy’s famous red machines. There’s a chapter called “Cars and Their Stars,” another entitled “Notable Quotables,” and one entitled “Ferrari Today.” We also give you a virtual tour of Maranello and Fiorano, home to the Ferrari factory, test track, and museum in Italy. Want to know where the Ferrari F1 team has dinner? Ever seen a Ferrari-powered Rambler station wagon? Know how many Ferraris were named after cities or countries? It’s all here.